Anyone flying to Paris in France today is being advised to check before travelling. 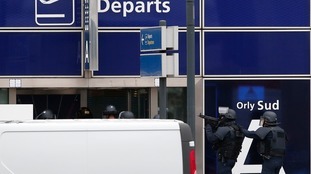 Flights have been suspended at Paris Orly Airport after a man who tried to seize a soldier's gun there was shot dead by police. Flights between Southampton Airport and Paris Orly Airport have been suspended. A spokesperson said that one inbound flight heading to the UK has been delayed. Some British Airways flights from Heathrow Airport to Paris Orly Airport have also been cancelled. A number of flights from various airports have been redirected to Paris Charles De Gaulle Airport. Do check before you travel. The safety and security of our customers and colleagues is always our priority."